Our workweek weather forecast shows cool mornings and warm afternoons each day. Hard to believe, but Autumn is on the calendar for this weekend. 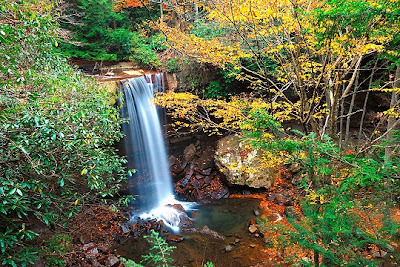 The above photo is Cucumber Falls in Pennsylvania. Cant wait to hit the road for shots like this Mike! Beautiful! Send that cool weather on south! I totally love the pic. We'll do what we can to push the cool air down to the DEEP SOUTH! Is it possible to just have the weather from this past weekend for about....the next two months!